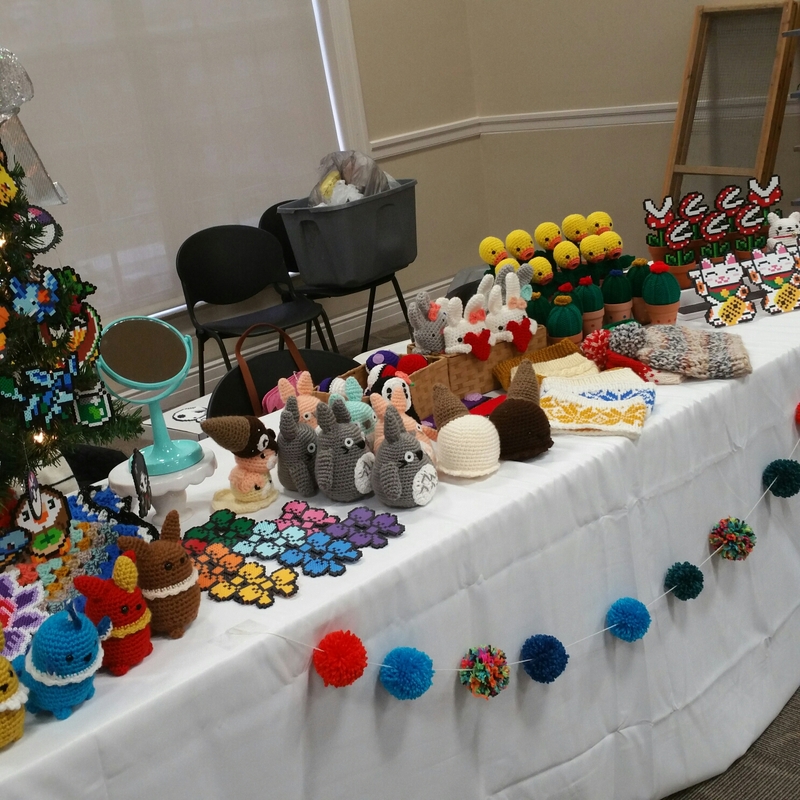 Last week the shop participated in a local Christmas themed marketplace, so I thought I’d share some pics of our display! Here’s a side shot of the table- I really like how the stuff is so colorful and really eye-catching! Since it was a Christmas market, I wanted to make the display sort of Christmas-y with this tree! We hung these Pokemon perler sprites up in the branches. If you ever sell at a Christmas event, I really recommend using a tiny tree (this one was $10 at the dollar store) because it was a huge hit! 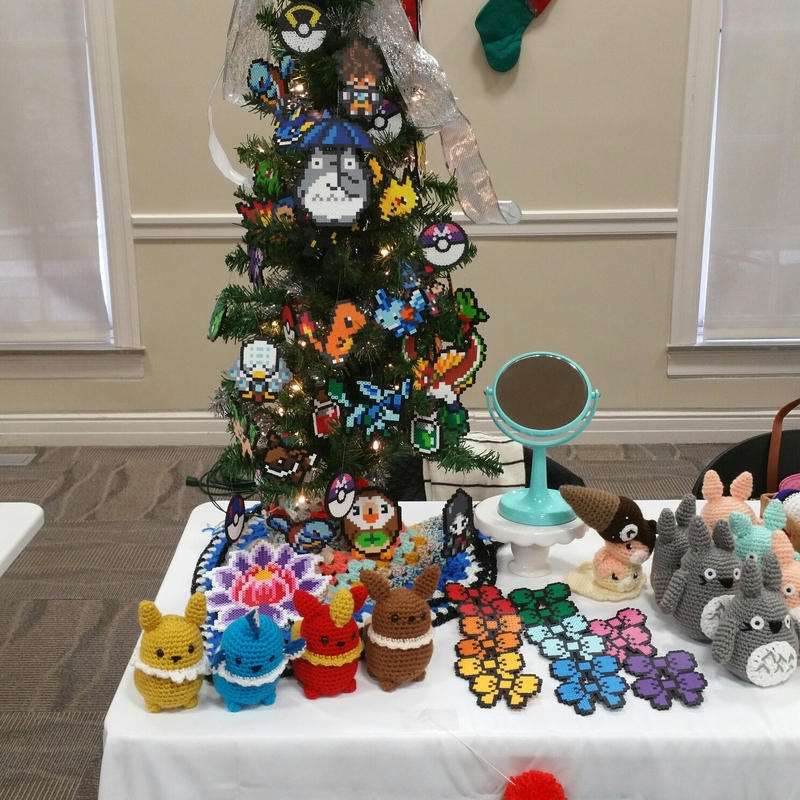 People kept coming over and taking pictures, plus everyone wanted their favorite Pokemon as ornaments for their trees at home. For the Bellsprout and Piranha plants, I bought these great 3 tiered organizers from Amazon (for visual impact). It’s great because now that the show is done I can use them to display things I’ve already made at my apartment. 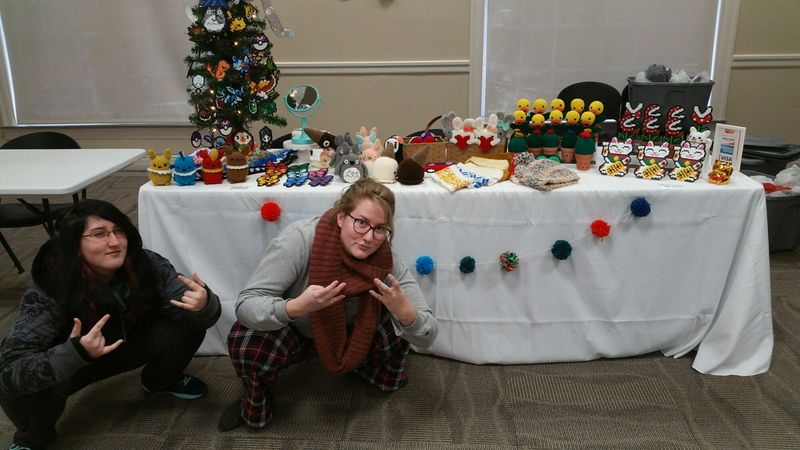 Here’s a pic of my two shopmates being goobers in front of the table. 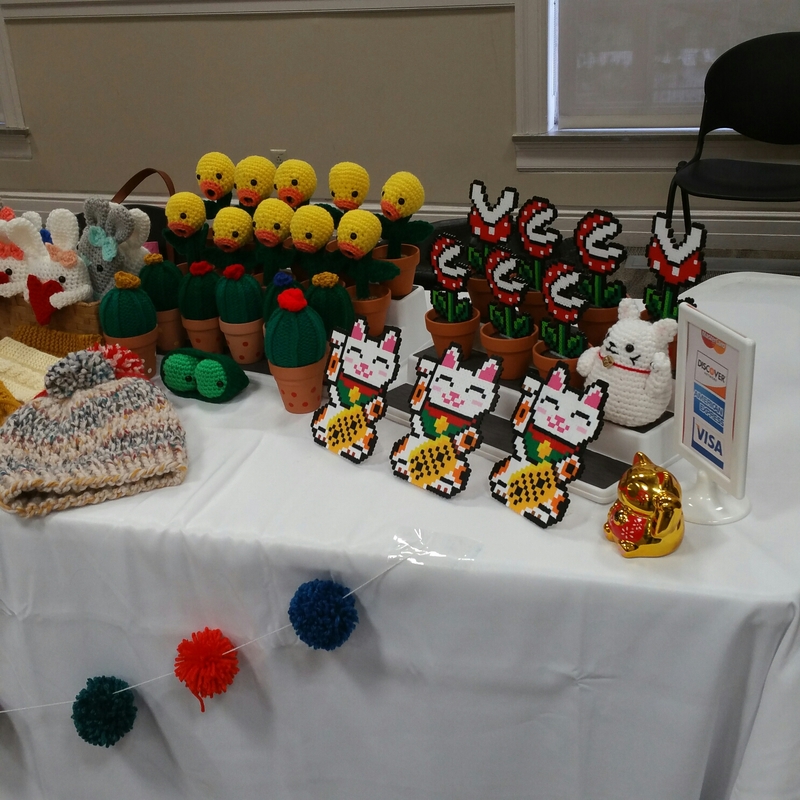 Overall it was a great success for the shop! Looking for more events to sell at in the coming months! I’m gonna be singing Goofy Gobber all day now!